Happy Anniversary to Barry and Donna and to us! Interesting that two of our best friends have the same anniversary as us. Today was 35 years for Barry and Donna and 36 years for us. All four of us are so blessed with wonderful mates. Life is definitely good. Today we skipped our morning walk due to an early meeting with the estate attorney regarding the apartment closing. Still working on all the legal paperwork. After that appointment Anne had an appointment for a badly needed haircut and after that did a little shopping at Belk’s since it was senior day. Love those senior discounts. Max cooked 2 pounds of sausage patties and 2 pounds of bacon to freeze for future meals. 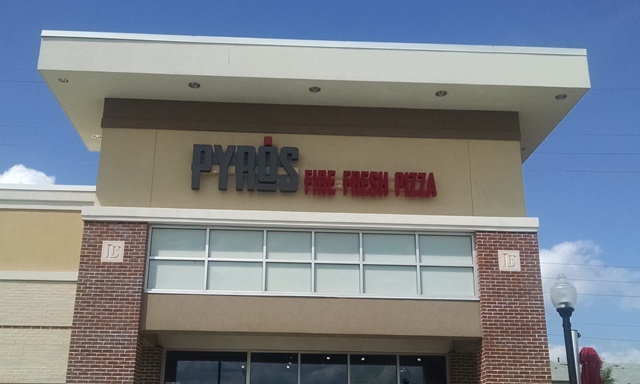 We celebrated by eating at Pyro’s Pizza, a new to us regional chain. We really enjoyed the thin crust pizza with lots of toppings of our choice. Will definitely eat there again when the pizza craving hits. 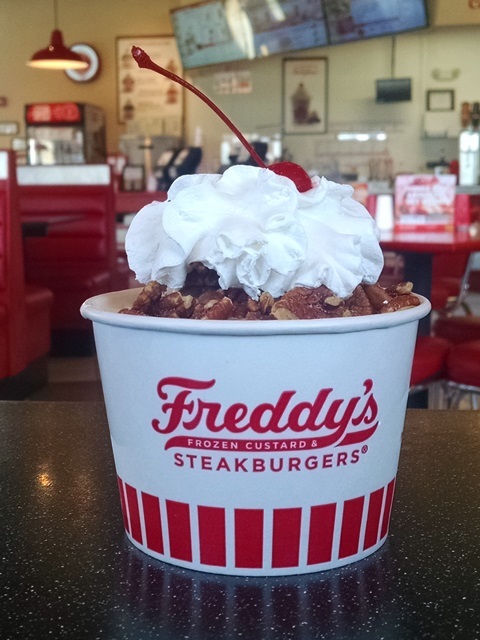 We had planned to have the dessert pizza as well but drove past Freddie’s on the way and ice cream ultimately won out. We had the Signature Turtle Sundae and it was, as usual, wonderful. We then watched a movie. A nice afternoon together. After eating all that wonderful food we didn’t dare miss our evening walk. Even though we skipped this morning we still got five miles today – so not too bad. The celebration of a wonderful 36 years and looking forward to many more. It was a great day! 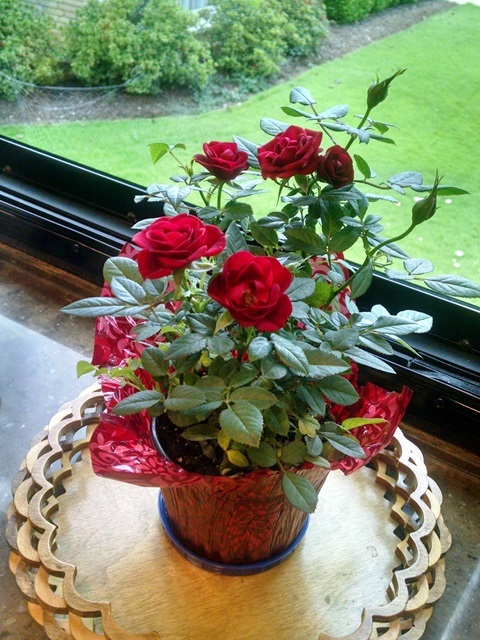 We found this nice little pot of mini-roses we thought would travel well. Happy Anniversary! Looked like a great day! Happy Anniversary! Glad you had a day of many joys and may the year to come bring more blessings! Happy, happy Anniversary to two of the most wonderful people we know. May God bless you with many more years together! Previous Previous post: God Is SO Good!